If you have any questions, concerns, or comments regarding Lifestyles Healthcare Group, please fill out the short contact form below. "I came into Lifestyle Chiropractic care originally in the fall of 2016 with severe neck discomfort. I am on my way to a pain free life full of bliss!" "If you need an adjustment, have an injury, or just aren't feeling well, do yourself a favor and make an appointment." "Lifestyles chiropractic is the most friendly environment I've ever been in to! The methods they use are incredibly helpful and effective!" "Dr. Stoke's approach to better health is something I have never experienced. I would recommend him and his practice to everyone." "Lifestyles Chiropractic not only gives great care, but they've got wonderful service! Dr. Darin has always given me great adjustments." "Lifestyles Chiropractic is one of the best things that has happened since moving to Florida. You will not be disappointed!" 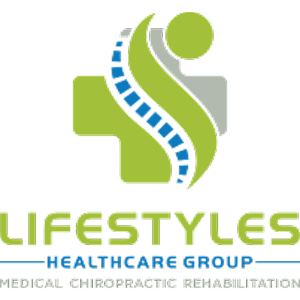 "If you are looking for the very best care at an affordable price, Lifestyles Chiropractic is the only choice." "I had an amazing experience at Lifestyles Chiropractor. The staff was very friendly and helpful. I highly recommend them." "This was my very first experience dealing with a chiropractor in my entire life and it has been amazing! I will definitely be recommending them to anyone I know!" "Great place, friendly staff, and a really clean environment. I wouldn't have made this much progress without the help of Dr. Stokke and the rest of the staff."